The demand for South African arts & entertainment has reached an all time high in the UK since the announcement of South Africa’s hosting of the 2010 World Cup. 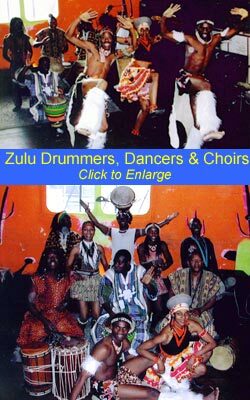 We have several talented artistes who can present you with the extraordinarily powerful traditional drum rhythms, dance, and song from the very heart of South Africa. 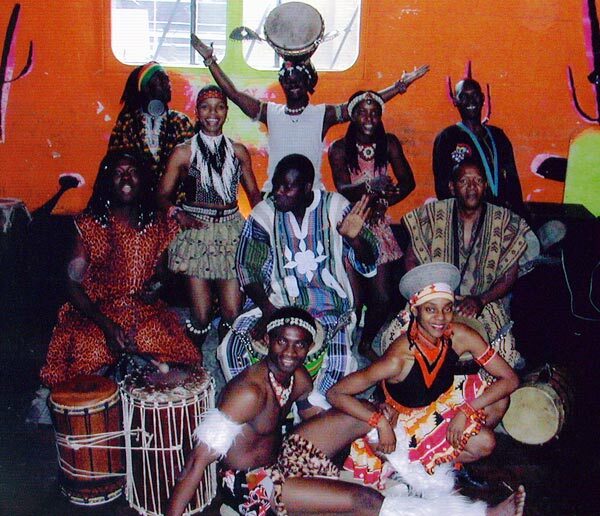 Some of these are led by original members of the South African stage show, ‘Ipi Tombi’, which first popularised South African performing arts in the UK back in the seventies. One example of this would be ‘Majuba’ who dance traditional South African and Zulu dances, with accompaniment from drummers. With their stunning traditional costumes they present pieces which can include Shangaan, Xhosa and Sotho styles, but it is the vibrant energy and intensity of Zulu dances, songs and chants that are most popular with our clients. 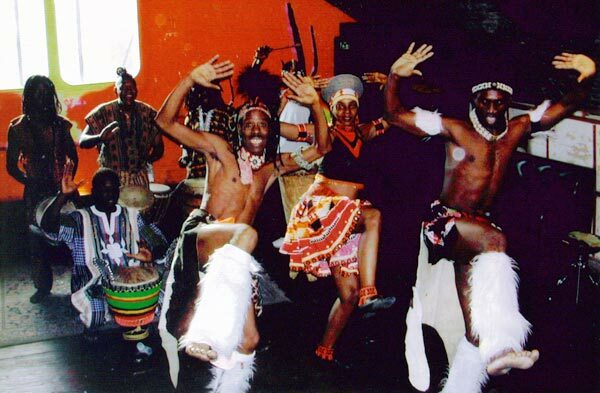 Majuba can perform and indeed offer workshops with just drummers, but as a show including dancers they perform as a 4-piece upwards, depending on the situation and duration required.